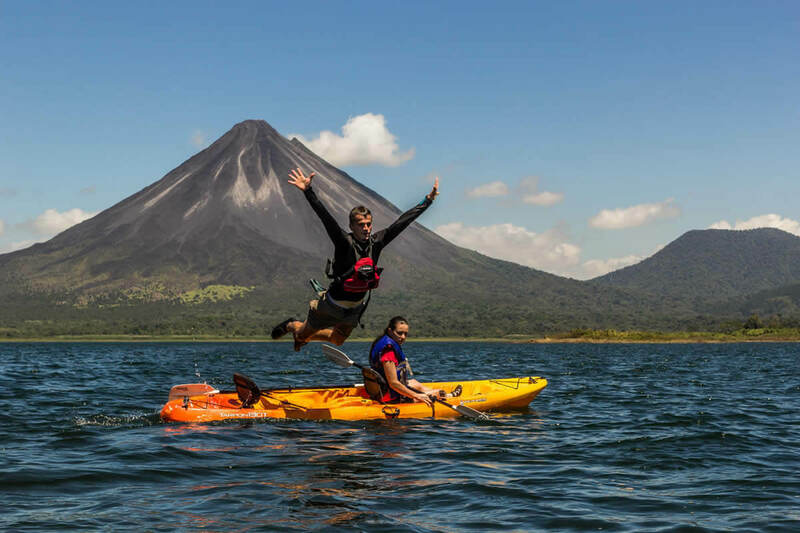 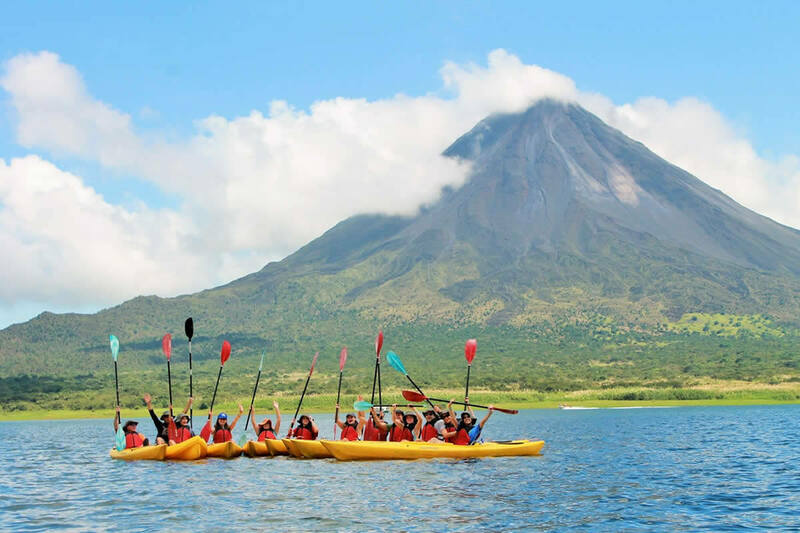 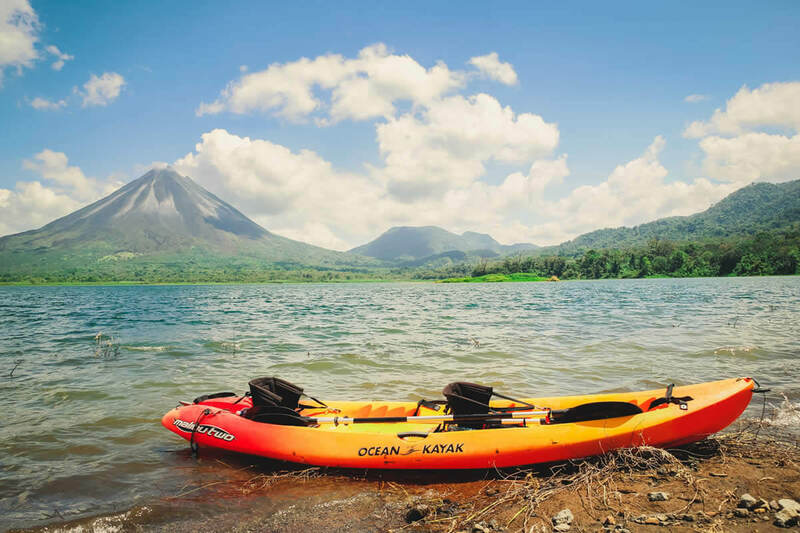 Bring your camera because this 2 hour paddle on Central America's second-largest lake gives you the best views of the behemoth Arenal Volcano and Costa Rican wildlife! 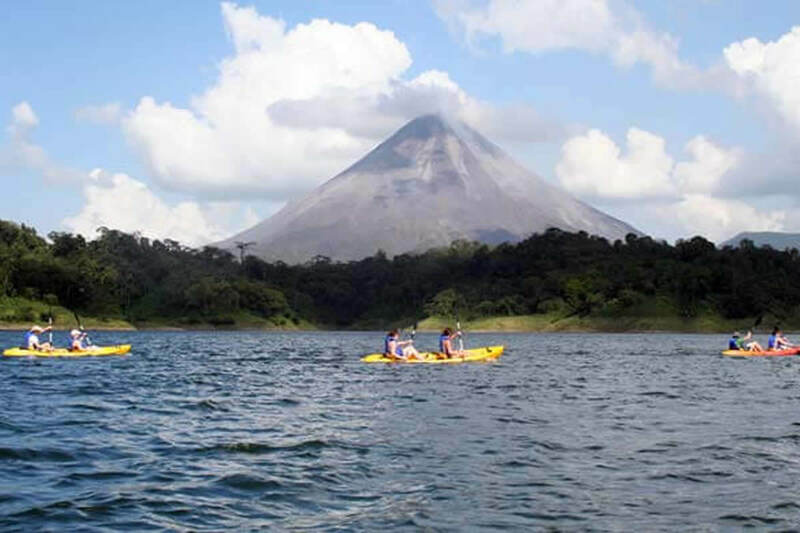 Enjoy a pleasant time kayaking on Lake Arenal with breath-taking views of the Arenal Volcano and during your trip, you may observe different species of birds like the "Flycatcher," "Kingfisher," "Great Blue Heron" and "Anhinga" and may also possibly hear and see Howler monkeys up in the rainforest trees that surround the lake! 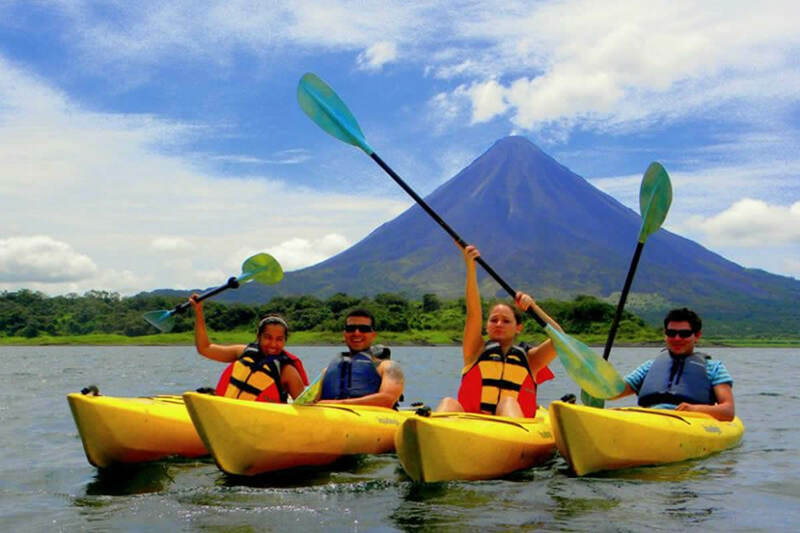 We use high-quality kayaking gear like Ocean Kayak brand single and double kayaks, lifejacket and paddle. 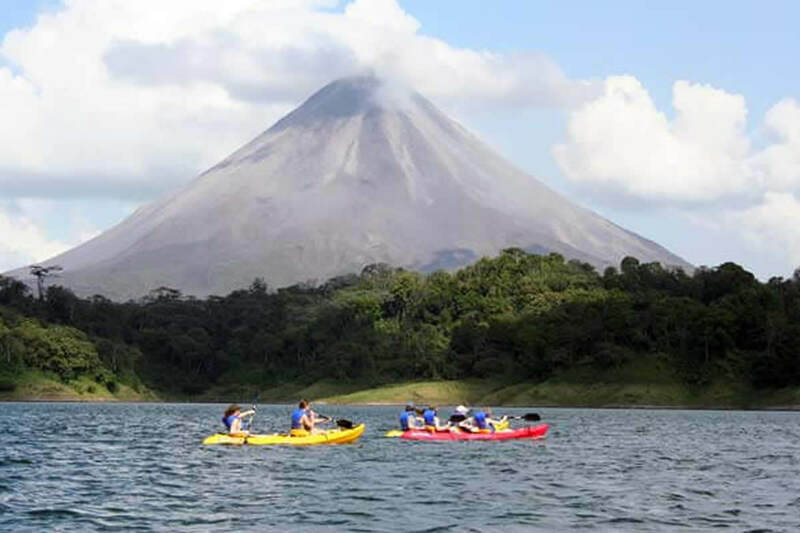 We start at one of the the earthen dam that extends across the Southern edge of the lake with paddling instructions and a safety talk so you feel comfortable in your boat. 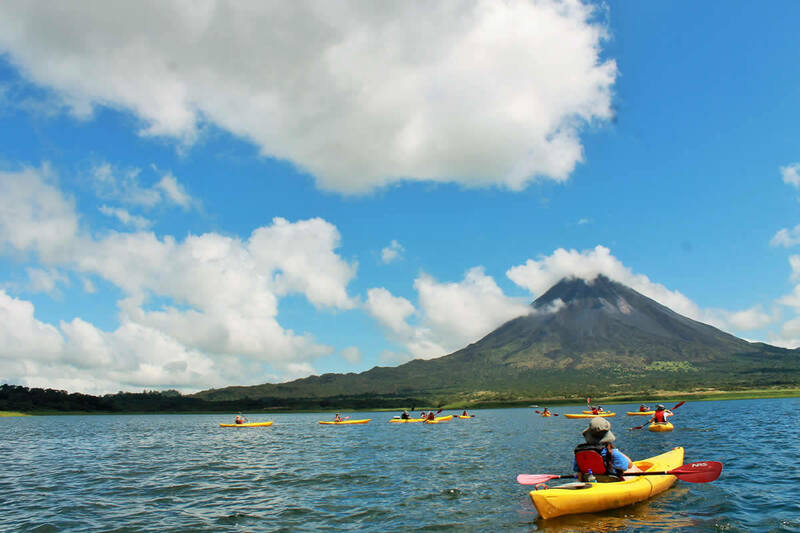 We then go out and explore secluded bays and isolated islands. 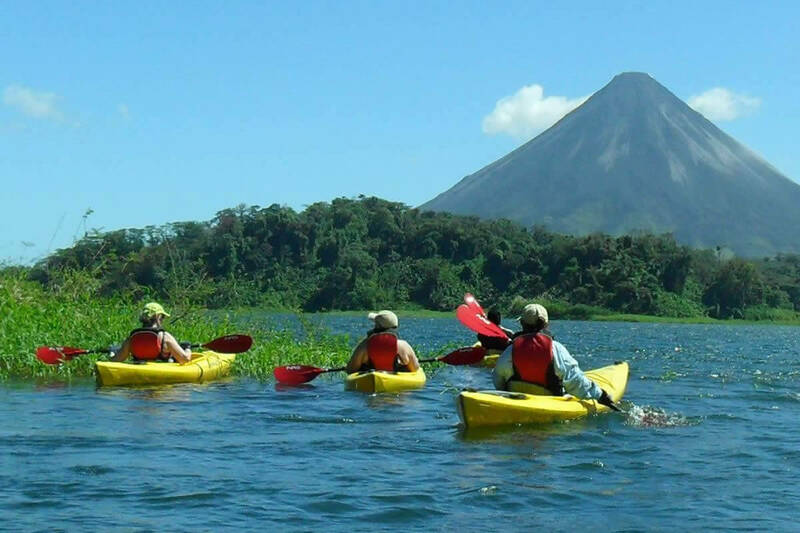 We'll stop and have some fresh fruit and juice to get some energy and then get back in the kayak and paddle back around to the starting point. 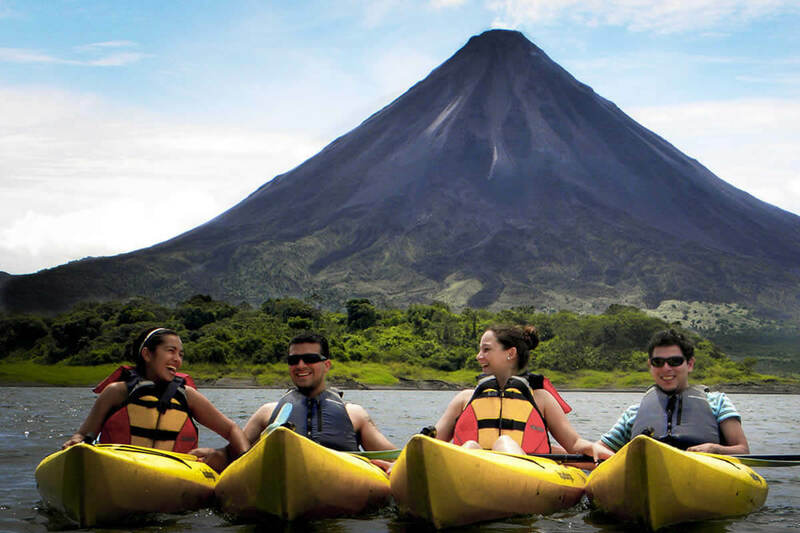 Transportation, kayak, life vest, paddles, tropical fruit snack, beverage, bilingual naturalist guide. 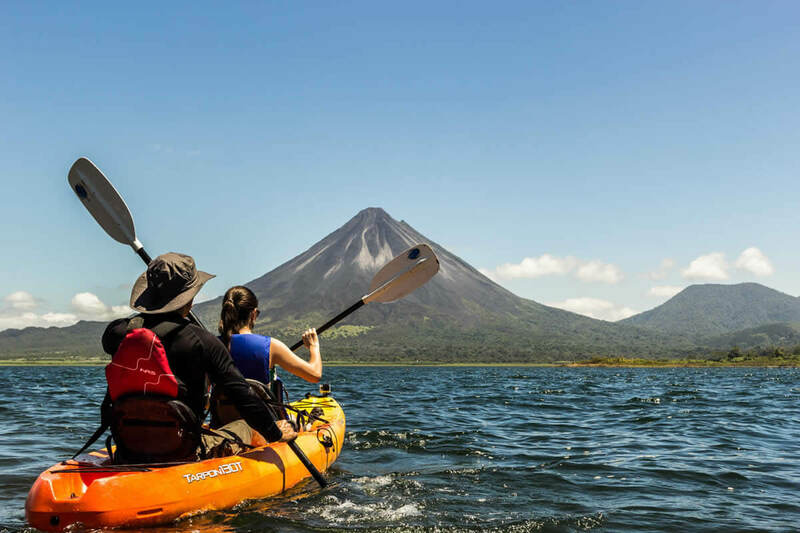 Bathing suit or clothes that can get wet, sandals, sun block, waterproof camera.